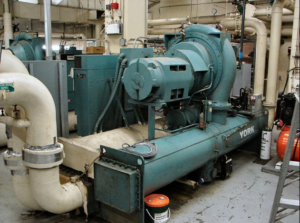 Chiller units — open loop or closed loop — naturally experience performance degradations over time. As noted by Facilities Net, chillers and companion condenser units are often the single biggest energy spend in an organization and despite predictive maintenance methods such as vibration analysis, infrared thermography and rotor bar testing, scale and foiling still occurs. Here’s a look at the impact of scale on your condenser system and the steps you can take to maximize efficiency. To limit the impact of condenser fouling you need to identify the source. If you’re running an open loop system, the biggest problem comes from the water source itself — minerals and other particulate matter can quickly cause scale to build up if water isn’t properly treated before being transferred to the chiller. 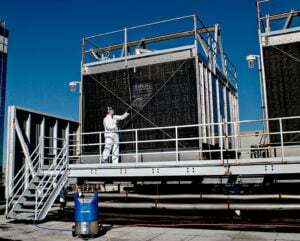 In closed loop systems, the cooling tower itself becomes the key source of contaminants, which in turn make their way into condensers and drive the growth of scale build-up. As noted by Innovas even small amounts of scale in your system result in big impacts. For example, a 2000 ton chiller running 3000 hours a year with an energy efficiency rating of 0.65 kW/ton gives an energy cost of $0.09 kW/hr. With just 0.006 of scale, energy costs jump $14,000 per year. At 0.036 inches, extra costs skyrocket to $95,000 per year. Treat Water Aggressively — ACHR recommends combining an aggressive biocide plan with scale and corrosion protection practices to limit scale production. Ensure a Leak-Free Unit — Leaks in condenser and chiller units introduce air into the system which significantly lowers efficiency and can also cause interior rust build-up. In high-pressure units, leaks can release hazardous gasses into the nearby atmosphere. Keep Daily Logs — Keeping track of day-to-day condenser performance allows you to conduct regular data comparison and ensure you’re meeting efficiency targets. Despite best efforts, chances are you will need to deal with scale eventually. Best bet? Leverage a high-quality chemical descaling treatment in early spring or winter months when condensers and chillers aren’t on high-use cycles. Worth noting, however, is that even minor scale build-up always trumps existing descale plans since the energy loss simply isn’t worth waiting for regular maintenance. While this may mean an unexpected shutdown of chillers for several days and a commensurate drop in productivity, this cost is minimal compared with the exponential expense of fouled condenser systems. 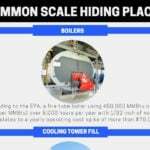 Scale is a cooling tower’s worst enemy: Design an effective PM procedure and descale on demand to ensure maximum efficiency. Subscribe to our Seasonal HVAC System Efficiency Podcast Series. 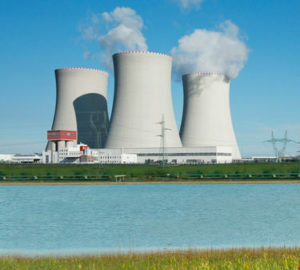 This time of year our focus is on Boilers, Chillers and Cooling Towers.